Working with our staff at Sarasota Landscaping Services, our goal may be quite different than other landscape lighting companies in Sarasota, FL. We don’t just see lighting as something that adds to the visual beauty of a property. 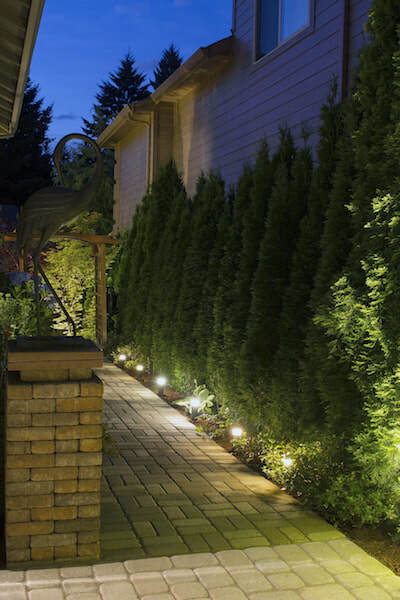 We see lighting as something that adds to the overall functionality of a landscape. It not only boosts the overall aesthetics, but it increases safety and the ability to enjoy your outdoor space in the evening after the sun goes down. With our experience in lighting and fixtures, you can rest assured knowing that you will be able to enjoy your beautiful front and backyards both during the day and at night. Our designers and installers will choose the right hardware materials and perform the installation for you—and all you need to do is sit back, relax, and enjoy scenery. 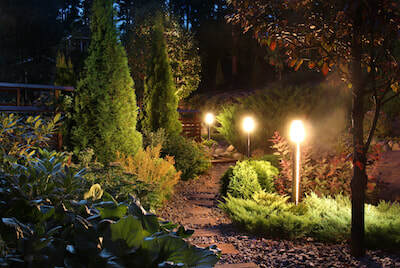 It’s important to note that there are varieties of the lighting designs you can choose for your implementation, ranging from ethereal moonlight (which is beamed down from a tree canopy) right to the subtle glow that watch over the low garden wall. Working with our professionals at Sarasota Landscaping Services, you'll quickly see that landscape lighting installation can be simple and streamlined. You won’t have to worry about completing the complicated installation project yourself–that’s what our experts are here for; however, we want your feedback on placement of lights and style of lights. While we’ll make our suggestions for what we think might best fit your property, ultimately at the end of the day it is your decision to make. We’ll work with you to find efficient and affordable outdoor light solutions. Living in Florida, there’s nothing better than spending time outdoors. We are lucky enough to leave in warm climate that allows us to enjoy our environment during all 12-months of the year. With this in mind, our team believes we should do everything we can to maximize our outdoor spaces. While general landscape maintenance can ensure that the well-being of your property, extra additions like lights can catapult it to the next level. Lighting can show that you truly care about giving your attention to the small details that can make or break a landscape. Although the addition of lights may seem like a large investment at first, after years on your property it will become something that you’re proud of and that you’re happy to show off. If you’d like to find out more about all the landscape lighting options we have available for both residential and commercial customers, feel free to reach out to set up a consultation. We can provide examples of past designs we have completed, and show you up close and personal the styles of lights you can choose from. We know this might seem like an extensive, confusing process, but we’ll be with you every step of the way to make this simple. In the end, you’ll be glad you partnered with Sarasota Landscaping Services for all your outdoor lighting needs.